How Important is Content Marketing for Business? Where to look for ideas. Many businessmen for some reasons underestimate the role of content-marketing in promoting their brand. 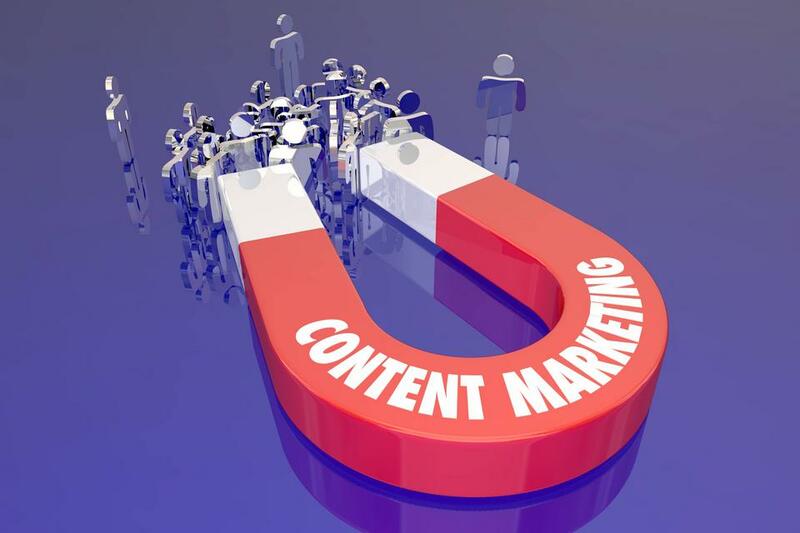 However, using content marketing will help you get loyal customers. Why does business need content? Some statistics. More than 83% of customers assured that online content influences their choice of seller. Help in communication. Materials from the blog can be placed on social networks. And there your target audience will be able to actively discuss it. Choose a direction. At this stage you must answer distinctly and clearly - why are you doing all this? That is why you want to create content and what you want to achieve along with it. Investigate. Observe and study the behavior of the users - where they come to you from, what they look at, what they buy. Based on this, you conclude what people want. And then you can give it to them. Select the channel. You learned all about customers. Now you need to choose the way you will convey to them the necessary information. Adapt your content to each stage of the sales funnel. The most universal channel is considered a blog. Create content. Independently or using the service of a copywriter. With it, you can stand out among competitors and attract customers. Promote more. Creating something and not promoting it is a meaningless exercise. Ideally, the promotion in your company should be done by an individual. From each article, you need to squeeze the maximum. Do the newsletter, share on social networks, make friends with other bloggers. And remember: good material has no statute of limitations. Measure. Explore the number of leads, the level of sales and the frequency of calls. Consider that the number of likes and reposts will not give you a complete picture. Creating and promoting quality content takes time. And you need to accept it. Reciprocity. Give customers something free. For example, a seminar recording, books, interesting articles in the blog. Believe me, users will appreciate it. Informativeness. People want to get the information they need as quickly as possible. And they will do a lot to become its owner. Therefore, you will attract attention to yourself if you use the words “quickly”, “urgently”, “in 30 seconds”, etc. in the content. Sociality. People trust people more than companies. Therefore, make it so that your posts can be commented out and shared on social networks. If one person clicks the “Share button”, the others will do the same. Loss of opportunity. Show how much you love your customers. For example, give access to your new book absolutely free, but only for a limited time. People are afraid not to have time. Fear of loss. Describe in your content what customers may lose if they do not take advantage of your unique offers. It can be time, money, exclusivity. Pseudo-selection. In fact, people are afraid of too much choice. Therefore, reduce the number of options to two. But let the client understand that he or she makes the final decision solely on his own. For example, read the text further or return to the main page. This question is asked by many. And the answer lies on the surface. Try to make one material several options for quality content. In the video - from the article. Any of your interesting text from the blog, you can transfer to the format of the video. Shooting, of course, also, take some time. But then you will already know exactly what to say to the camera. Article from the video. If your Internet business is already developing for a certain time, then, most likely, several videos have accumulated in your arsenal. Translate them into a text version. Someone easier to take a picture, someone text. And it should be used. Make Infographics. Any text, regardless of size, can be formatted in graphic format. Just need to highlight the main idea. Infographics work great on social networks. Its users post and actively discuss. Post to Instagram from an article or video. Many people develop their business projects in this social network nowadays. Why don't you take advantage of it? Regularly publish in your profile useful information for customers. For example, post bright photos or graphics. As you can see, there is simply no universal formula, everything must be chosen by trial and error, or you always can appeal to agencies specialized in content marketing such as WellKnown Agency! Let your conversion rate be high!